Lately my wife and I have been talking a lot about what it will be like to introduce a sibling to our son. We’re currently reading a book called The Birth Order by Dr. Kevin Leman, and I read that introducing a sibling is akin to the ‘dethronement’ of the first child! We’ll have to make extra sure that he feels just as loved as he does now. Of course, that adjustment will be just the beginning of a lifelong relationship. With the right parenting early on, I think he’ll be such a nice older sibling. 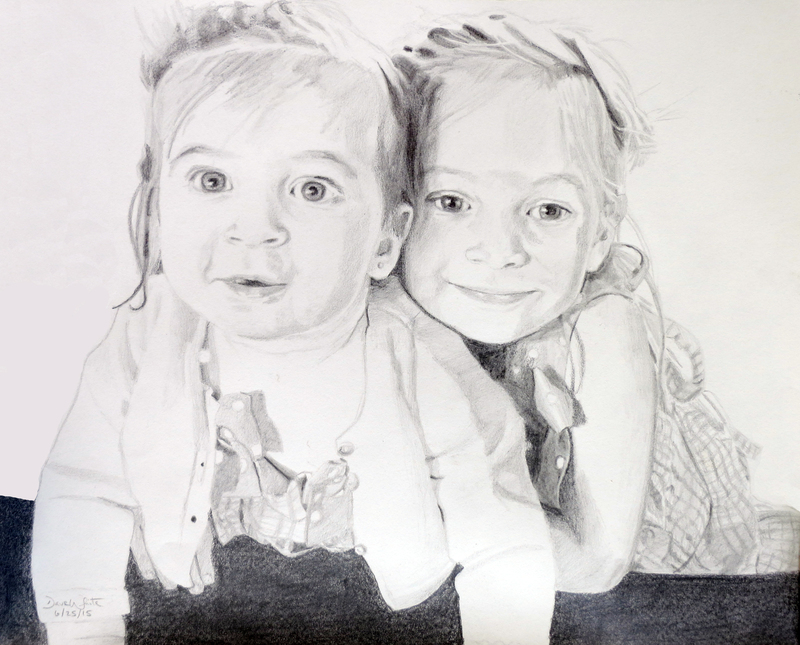 A few days ago I finished a pencil portrait of our friends’ daughters, one of whom just turned one year old! The way the older daughter is embracing her younger sister is very sweet, and it makes me think of the many dynamics at play in sibling relationships! I hope this drawing will be a nice keepsake as they continue to grow and become adults!